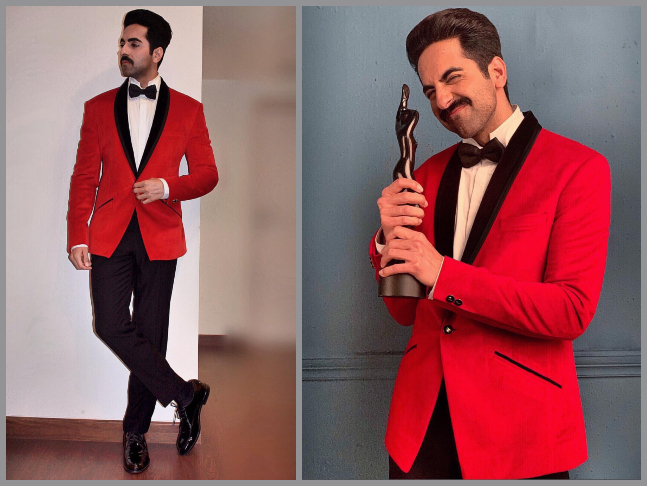 For his appearance at the red carpet, Ayushmann Khurrana made a statement in a scarlet tuxedo and you cannot miss the details! 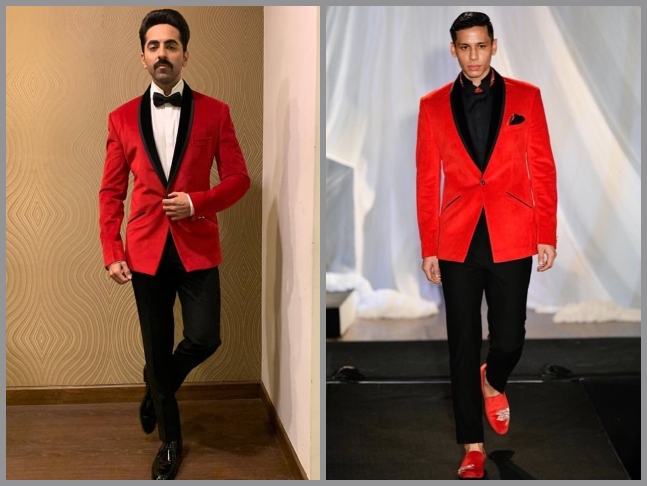 Styled by Isha Bhansali, the Andhadhun star opted for a red-hot Gaurav Gupta tux for the gala. The classic bow-tie and macho moustache completed his look. Class, with a hint of scarlet!